Due to a small handful of untrustworthy garages, 85% of drivers don't trust car mechanics. We uncover techniques that dodgy garages use to rip off honest drivers. There are a few bad eggs out there that will try and rip you off. Often they’ll bombard you technical jargon, take advantage of a lack of knowledge and generally try to get you spending as much money as possible. But how can you get around this? Remember, not all mechanics are out to scam you. 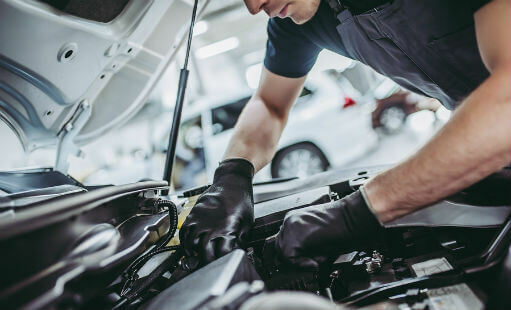 A few unreliable garages are responsible for causing mistrust between motorists and car mechanics. Now one in eight drivers believe they've been pressured into having repairs they don't need. With the help of trusted mechanic Thomas, we've created a guide to uncover some of the common tricks used by dodgy garages to get you spending. To help you gauge how much you should spend on a car repair, here is the average cost of the most common car repairs across the UK. Car maintenance: How much should you spend? Budget brands or big names? We discuss the most cost effective option. Do you know your ABS from your A-pillar? Our jargon buster is here to help. These simple checks could save you failing your MOT test.